The State College Radio Control Club (SCRC) is a group of approximately fifty individuals who share a common interest of building and flying radio control model airplanes and helicopters. Visit us on Facebook. IMAC Challenge in State College, PA June 20th & 21st 2019! 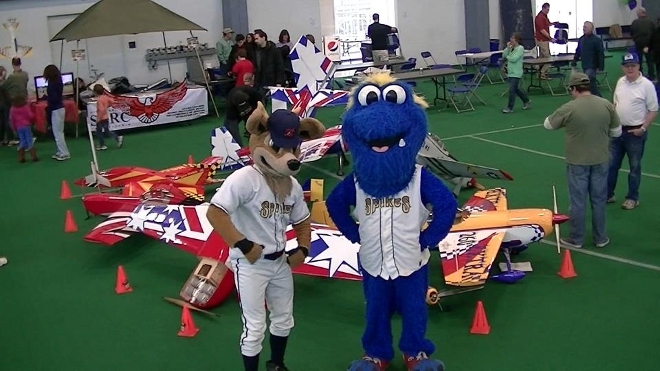 The Club Members have a wide variety of aircraft, and flying abilities. The Club flying site is located at Centre Airpark near Centre Hall, Pa. Members may be seen flying there almost any Saturday or Sunday afternoon or nice evening. If you're interested in watching, feel free to come to the field. If you would like to join us in this fascinating hobby, please talk to a club member for advise on how to get started. The SCRC members are very willing to help people new to the hobby. Help includes abundant advice on planes, radios, and engines. Building and flying help is also readily available to aid in getting their model airplanes built and flying. Feedback is welcome and encouraged, including comments, additions, corrections, etc. Send e-mail to all the Webmaster.